Think about how the argument is built and what building blocks are necessary for it to have a strong foundation. Try to stick to a concrete plan and methodology. Don’t let the GMAT distract you! Assumption questions ask for unstated evidence supporting the argument. 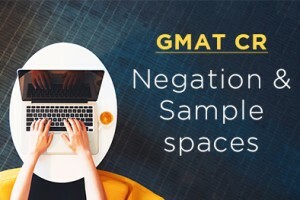 Check out these five great GMAT Verbal strategies proposed by Prep4GMAT. Get valuable guidance on how to mind the gap in Critical Reasoning questions. Study this powerful technique for isolating assumptions of arguments.